Part of the reason we started a Dive and Adventure company is because we get to do the things we love! Norman and I started this adventure so that we could be our own bosses and take everything that we had learned throughout our various careers with different dive companies, the hospitality industry, teaching and commercial dive work to create an experience that was a little different to other tourism providers. We concentrate on providing a range of different personalised activities to suit each different group that comes to visit. Recently I have been testing out some of the different hikes in the area and have discovered new highs and lows to hiking in the desert! 1) Water – plenty of water is necessary whatever the length of walk you are doing. Whether it be a stroll around the city, or a 3 hour cross island hike, bring your reusable bottle to keep yourself hydrated. When we come with you we always bring some extra water but you need to make sure you put sufficient in your bag and keep drinking! This is especially true in the summer months when the afternoon sun can be devillishy hot. 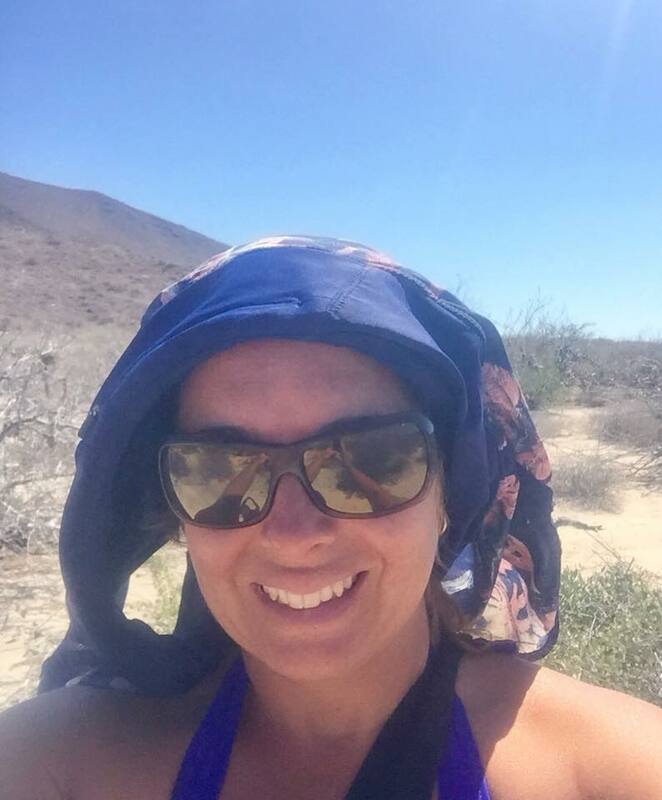 2) A hat – on a hike earlier this year, crossing from Bonanza beach to Bahia San Gabriel I made the mistake of not bringing a hat… My shorts were sacrificed into headgear – luckily I was wearing bikini bottoms! Having a hat makes a huge difference when it comes to keeping cool and protected. I used to hate wearing hats as they made me feel hotter but I have learned to appreciate their value and a good case of hat hair never hurt anyone! 4) Camera – Leave only footprints and take only memories. Cameras help to capture these memories but don’t be so intent on capturing everything that you forget to look around and take it in. In todays technological age we are used to be connected all the time and having the ability to share everything on social media. 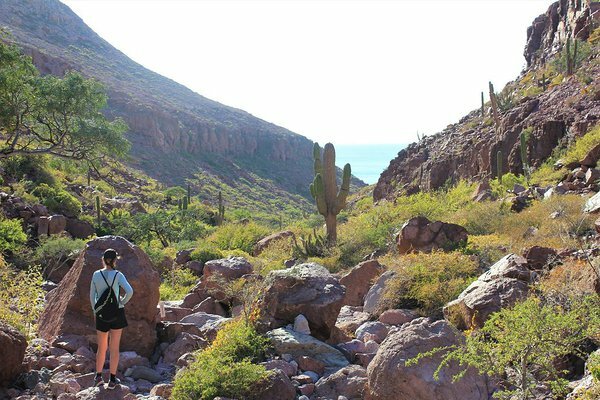 When you come out here to Baja and the Sea of Cortez you are surrounded by amazing scenery and nature but we guarantee you’ll have more fun when you stop thinking about your next profile picture and take it all in. Most locations around the island don’t have internet so you can go through the pictures when you get home. For now create the memories and enjoy being immersed in nature. 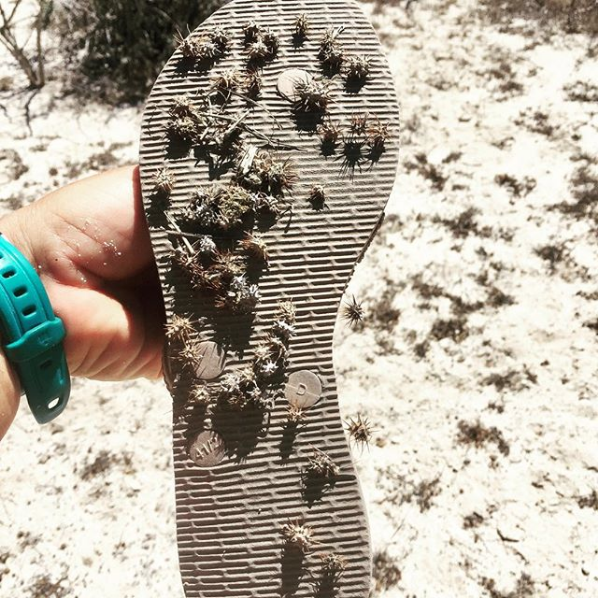 Sometimes we even recommend you leave it behind on the boat! 5) Sunscreen – the biodegradable kind. It is our goal to not damage the environment any further than it already is. One of the ways we do this is by using biodegradable sunscreen so as not to damage coral and marine creatures. Even if you want to get a tan, use sunscreen. With over 300 days of sunshine a year we guarantee you’ll see some during your time here! Tecolote to Balandra. This hike starts and returns to Tecolote Beach where you can get a drink and food at one of the beachside palapas after. The trail is relatively easy to find and climbes up a rocky path to a ridge that you walk between the two bays. The views out over the channel and over to Isla Espiritu Santo are spectacular. 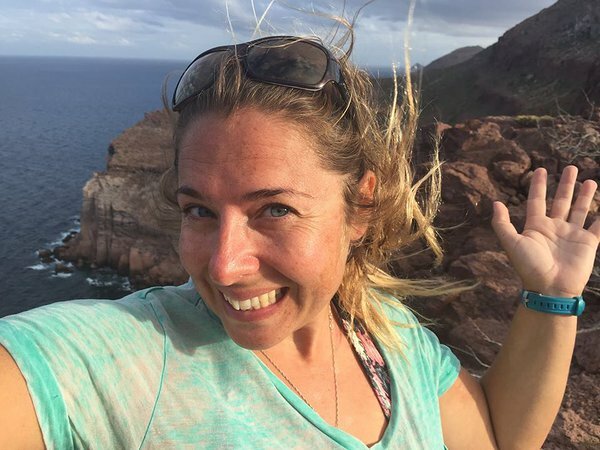 You have the option to make detours to a couple of different beaches where you may want to go if you bring swim stuff and a picnic but your final lookout point is the eastern point of Balandra Bay. This beach is consistently voted one of the best in Mexico and especially with a little elevation that this hike gives you you can see soooo many different shades of blue. Mesmerising. Sunset at Palmira. A hike that is popular with locals in the evening affords a beautiful vantage point to overlook the bay of La Paz. You can take two different routes to the cross at the top – one shorter and steeper to a longer winding route depending on the level of exertion you want. There is a white cross at the top that is visible from the road below and from here you can see the sunsetting behind the mogote and the lights come on in the city below. Bring a head torch for your return! Ensenada Grande. If you feel like a challenge then this one is for you! It takes about 3 hours to complete the roundtrip and is not for the fainthearted… There are some steep sections and some big rock steps to ascend and you have to keep your eyes open for the arrows but the view at the top is worthwhile. It takes you from the gentle white sand beach of Ensenada Grande across to the cliffs on the Eastern side of the island where there is a pretty sheer drop into the Sea. I like to do this one on a windy day as the waves crashing at the bottom is pretty spectacular and it makes it a little more refreshing to have the breeze. San Francisquito ridge. This is often called one of the most pictueseque anchorages in the Sea of Cortez. It is shaped like a hook and when you climb the ridge there is a beautiful view over the bay. Depending on how adventurous you feel you can walk all the way to the edge but there are some pretty big drops on either side! Thus this hike can be taken to various extremes, easy or more advanced! These are some of my favourites but I always love exploring new areas. Next on my list is to explore the mountains behind San Pedro where I hear there is some amazing hiking and it is not far from La Paz. 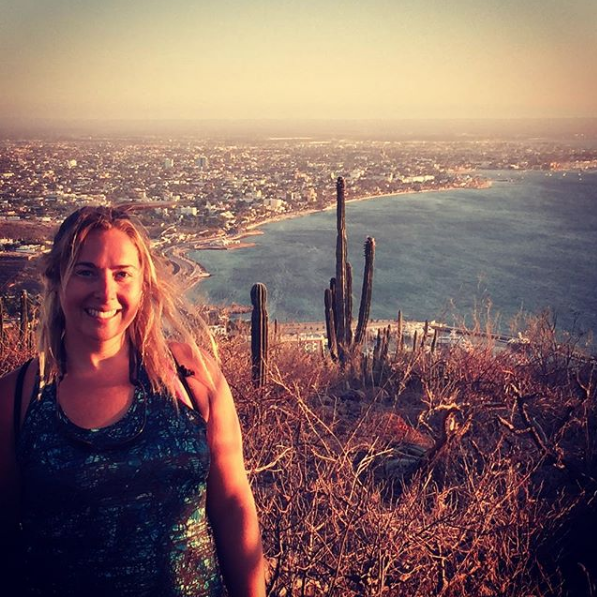 I also plan to do a multi day hike from Todos Santos to Santiago across the Sierra Laguna Range – I’ll keep you informed on how that goes in a later post!